New West Symphony and AmaWaterways cordially invite you to participate in this celebratory opportunity drawing to win a magical cruise during Christmastime in 2018 or 2019. Great chance to win! Only 200 tickets will be sold. Few events are awaited with as much anticipation as Europe’s Christmas Markets. 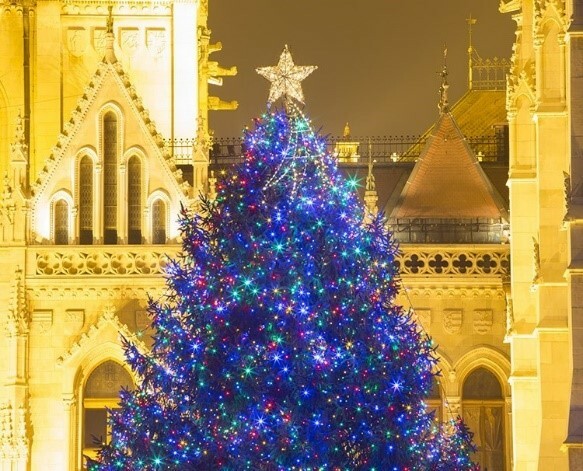 Travel back through centuries as you walk along cobblestone streets through grand cities and historic towns bedecked with twinkling Christmas trees and lined with wooden huts gleaming with handcrafted treasures. Iconic Christmas Markets are plentiful and are on full display for your pleasure. Sparkling lights; the festive sounds of children dressed as angels singing carols; enticing smells of hot-mulled wine, roasted chestnuts, sausages and sweet treats of every kind; and timeless wonders are a feast for all your senses. For any questions, please call (805) 497-5800. This cruise is generously donated by AmaWaterways. All proceeds will benefit New West Symphony and its education programs.